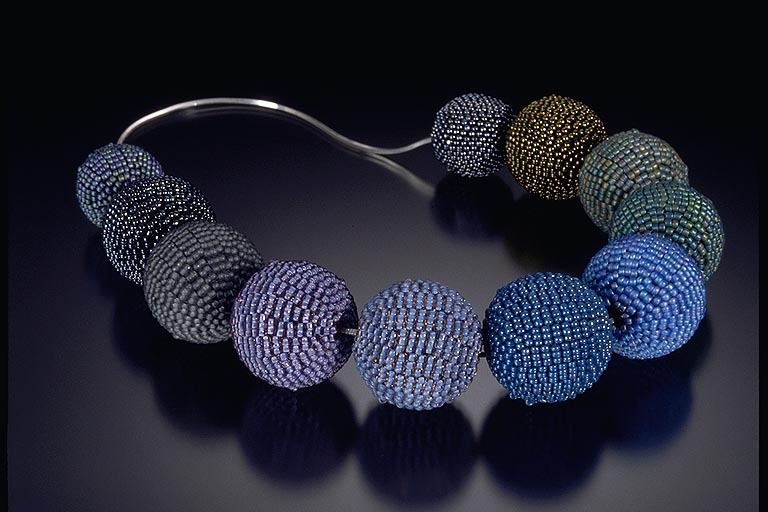 Beadwoven spheres are executed in peyote stitch over a hardwood sphere. No glue is used; the beads are fashioned into a custom-fit covering contoured to the curvature of the sphere. Spheres are available in 12, 20, and 25mm sizes in a variety of colors and finishes. They can be fashioned into necklaces of a single sphere or many, as well as bracelets and earrings. 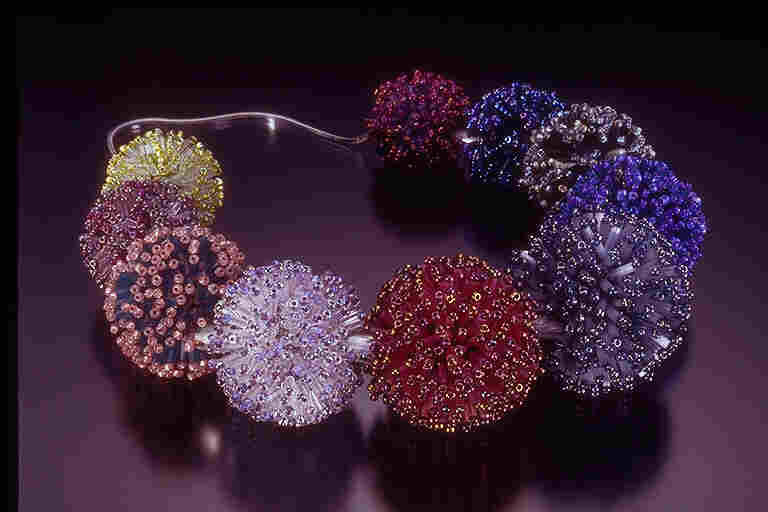 Embellished spheres, called "fireworks," start with a beadwoven sphere which is further woven with a 3-part fringe coming out of each surface bead. Fireworks are worn singly on necklaces or as pins, and are available in widely varying sizes and colorways.